PRODUCT DESCRIPTION: One Spray Protection. 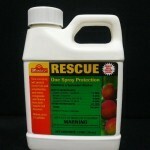 Rescue is a complete concentrate containing insecticide, fungicide, aphicide, miticide, scalicide, and spreader sticker. Easy to use, no plugged nozzles; no messy powders to handle, measure or mix; no premixing or straining necessary. Contains Malathion which has a strong odor. 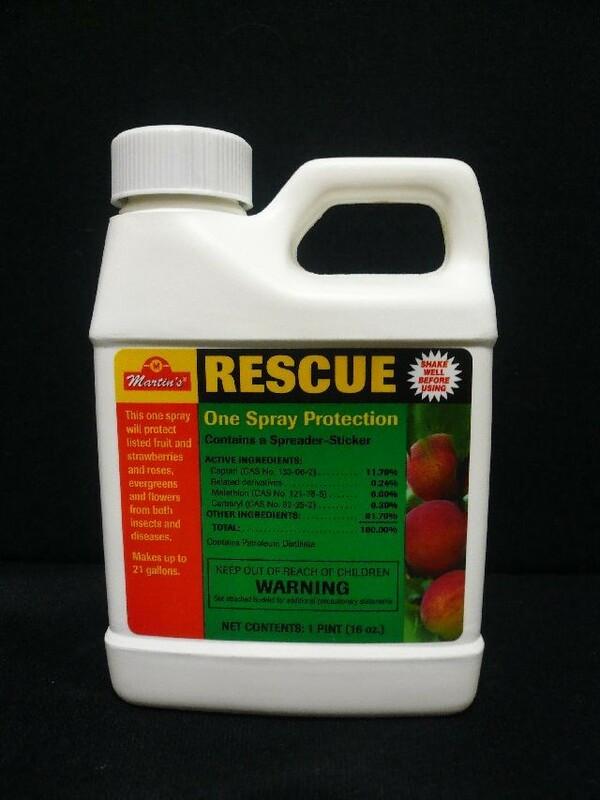 WHERE TO USE IT: Designed especially for home orchards to protect apples, cherries, grapes, peaches, strawberries, roses, evergreens, and flowers from the ravages of insects and diseases. RATE OF APPLICATION: Mix .5 to 1.5oz in one gallon of water. Spray foliage thoroughly. Do not apply when temperatures are above 90 Degrees F. Spray in the afternoon or early evening.